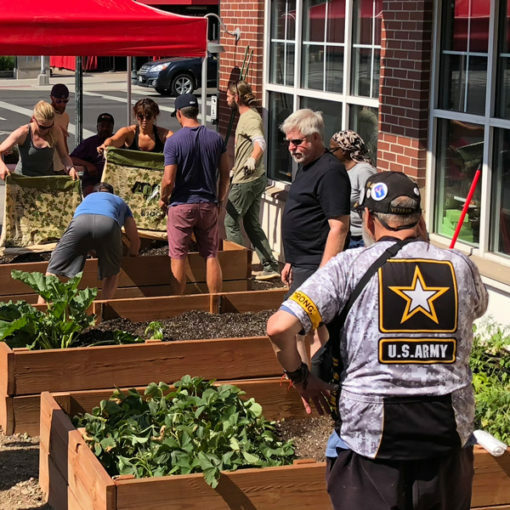 On Sunday, July 8 Good Chemistry Nurseries joined local veterans, Endorphin and other organizations to create a new community garden on Colfax Avenue. The project led to the creation of three beautiful new gardens off of East Colfax Avenue. Participants learned how to properly care for raised beds, how to properly space the plants, as well as when and what to feed the plants. Founded on the principle of “Making Life Better,” Good Chemistry Nurseries believes that advocacy can lead to change, and we believe it is our responsibility to continue to fight for underserved communities. Good Chemistry would not exist without the support and sacrifice of others, and we’re glad to have the ability to give back. Learn more about other community organizations Good Chemistry supports here.